The Women's World Cup has been running since 1973 - longer than the men's event, which did not start until 1975. For the 10th edition of the tournament - and the third hosted by India - which starts on 31 January, the format is unchanged from the 2009 event, with eight teams divided into two groups of four. Each team plays the other three teams in its group once on a round-robin format, with the top three teams in each group qualifying for the Super Six phase. In the Super Six, each team plays three games against the qualifiers from the other group, while carrying through their results against the other qualifiers from their original group. There are no semi-finals - the first and second-placed Super Six teams progress straight to the final on 17 February, while there are also play-offs for third/fourth, fifth/sixth and seventh/eighth place. Here is the lowdown on the eight competing teams, their tournament history, prospects for the competition and the players to keep an eye on. Tournament history: Winners in 1973, 1993 and 2009, having been runners-up on three successive occasions in 1978, 1982 and 1988. Last time out: Winners. Easily won their first five games, only losing one game to Australia when their place in the final was already secured, and beat New Zealand in the final. Recent ODI form: Came from 2-0 down to beat India 3-2 in their last 50-over series, in July 2012. Did you know? Captain Charlotte Edwards is the most-capped player in women's one-day internationals, with 160 appearances including 86 as captain. However, she is 15 short of the all-time women's ODI captaincy record, held by Australia legend Belinda Clark. Player to watch: While wicketkeeper/batter Sarah Taylor has taken the headlines after it emerged she could play men's county second XI cricket this summer, her Sussex team-mate Holly Colvin has also been invited to train with the men's second team. Still only 23, the left-arm spinner has played an increasingly important role in the England attack and was one of the leading wicket-takers at the World Twenty20. Having hit the winning run in the 2009 World Cup final, she has also shown steady improvement with the bat, when called upon. Verdict: Led well by captain Edwards and coach Mark Lane, they have one of the most exciting talents in world cricket in Sarah Taylor, while Lydia Greenway is the star of a slick fielding unit. The spinners will have a key role to play, while pace bowler Katherine Brunt is a wicket-taking threat with the new ball. The cup holders will settle for nothing less than retaining the trophy they won in Sydney four years ago - though Australia may stand in their way again. Tournament history: Their best finish was as runners-up to Australia in 2005. Last time out: Third. Their only defeats were by finalists England and New Zealand, and two wins over Australia ensured they pipped the Southern Stars to third place. Recent ODI form: Lost 3-2 to England, having led 2-0, in their last ODIs in July 2012. Did you know? Wicketkeeper Karu Jain from Bangalore is back in the India squad after more than four years in the international wilderness - having played the last of her 37 ODIs against England in September 2008. Player to watch: With India's fortunes often relying on captain Mithali Raj to lead from the front with the bat, opener Poonam Raut has a key role to play in taking some pressure off the skipper in getting runs on the board. Verdict: Tournament hosts for the third time, a Super Six place should be the minimum India will expect. Should be comfortable playing on home soil, but will still face an uphill struggle to make the final ahead of England, Australia and New Zealand. Tournament history: Finished fifth in 2005 and 2009, their best performances in the 50-over format. Last time out: Fifth. Beat South Africa in the 2009 group stage, lost all their Super Six games but beat Pakistan to fifth spot. Recent ODI form: Came back from 2-0 down to draw 2-2 with South Africa on home soil in January. Did you know? Barbados wicketkeeper Kycia Knight has recently been joined in the Windies squad by her twin sister Kyshona. Team-mate Anisa Mohammed also has a cricketing twin sister, Alisa, who has played for Trinidad & Tobago but has not yet received an international call-up. Player to watch: Opener Stafanie Taylor has been the ICC's reigning women's ODI cricketer of the year for the last two years, setting the tone with some powerful hitting at the top of the order and providing a good platform for Deandra Dottin and skipper Merissa Aguilleira. Verdict: Qualification for the Super Six should not be a problem for West Indies, but their further progress may depend on whether they can get their hard-hitting batting line-up to fire on a consistent basis as the tournament goes on. Tournament history: Quarter-finalists in 1997, their best finish was sixth in 2000. Last time out: Eighth. Picked up the wooden spoon in 2009, losing all three group games and the seventh-place play-off to South Africa. Recent ODI form: Their last ODI series was way back in April 2012, losing 2-1 to West Indies in the Caribbean. Did you know? All-rounder and former captain Chamani Seneviratna is Sri Lanka's most-capped player in one-day internationals, having played 67 games since her debut in 1997, a few days after her 19th birthday. Player to watch: Captain Shashikala Siriwardene, who made her international debut just under a decade ago, has a key role to play, both in the middle order and as a front-line off-spinner. Verdict: Will be Group A's outsiders, but if they can cause a shock against West Indies - as they did with a Duckworth-Lewis success at the World Twenty20 - then they could sneak into the Super Six. Tournament history: The most successful side in World Cup history - winners in 1978, 1982, 1988, 1997 and 2005, and runners-up in 1973 and 2000. Last time out: Fourth. As hosts, won two of their 2009 group games and were the only team to beat eventual winners England (in the Super Six) but lost to India twice, including the play-off for third place. Recent ODI form: Beat New Zealand 3-1 in their Rose Bowl series in mid-December. Did you know? Off-spinning all-rounder Lisa Sthalekar, who was born in India, is the ICC's top-ranked female bowler (and top all-rounder) in Twenty20 international cricket. She is second behind England's Katherine Brunt in the ODI bowling rankings, and second in the all-rounder charts behind West Indies' Stafanie Taylor. Player to watch: Opener Meg Lanning is in top form, hitting 87, 72, 103 and 38 in the four-match ODI series against New Zealand before smashing 76 and 64 in two T20 games against the same opposition. The 20-year-old, who made her debut just over two years ago, averages 50 in one-day international cricket. Tournament history: Winners in 2000, runners-up in 1993, 1997 and 2009. Last time out: Runners-up. Eased through the group stage with a 100% record and finished top of the Super Six table after only one defeat, by England - who beat them again in the final. Recent ODI form: Lost 3-1 to Australia in their Rose Bowl series in mid-December. Did you know? Lucy Doolan displayed her all-round cricketing skills in two matches against England at the last World Cup. In the Super Six, she took over as wicketkeeper after Rachel Priest was hit in the face, took a catch behind the stumps, then bowled six overs after Priest returned. Then in the final, Doolan top scored with 48, batting at number nine, before taking 3-23 from 10 overs of off-spin. Player to watch: White Ferns captain Suzie Bates will enter the tournament on a good run of form with the bat, having made 38, 122 not out, 59, 49 and 54 in her last five ODI innings. Verdict: Will be determined to add to that solitary ICC global tournament win in 2000 - having been perennial losing finalists or semi-finalists in recent years. Should have no difficulty in making the Super Six, but may have to beat either England or Australia to reach the final at their expense. Tournament history: Their best finish was sixth in 2009. Last time out: Sixth. Beat Sri Lanka in the group stage, beat West Indies in the Super Six but lost to them in the play-off for fifth. Recent ODI form: Won a tri-series against Ireland and Bangladesh in Dublin in August 2012. Did you know? Pakistan have only competed at two previous Women's World Cup tournaments, losing all five games in 1997 - the last time India hosted the event. Player to watch: With spin likely to play a big role in the tournament, slow left-armer Sadia Yousuf, who was their joint leading wicket-taker at the World Twenty20, can expect plenty of bowling for Pakistan. Verdict: With their preparations disrupted by their games being switched to Cuttack following political protests in Mumbai about their involvement, the build-up has not been easy for Pakistan. Realistically, they must target the game with South Africa, with the winner likely to reach the Super Six phase. Tournament history: Their best performance came when they reached the semi-finals in 2000. Last time out: Seventh. Lost all three group games in 2009, before beating Sri Lanka in the play-off for seventh. Recent ODI form: Drew 2-2 with West Indies in January, having won the first two games. Did you know: South Africa are the only team to have hosted a World Cup and failed to finish in the top four on home soil - coming sixth in 2005. Player to watch: Former captain Cri-zelda Brits is another player who has returned after taking a year's break from international cricket. Her experience of more than a decade at the top level will be a vital part of South Africa' middle order. Verdict: Will take heart from their recent performances in the Caribbean. If they can beat Pakistan, they should reach the Super Six, which would be an achievement in itself. 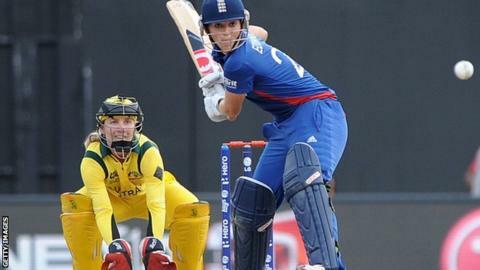 BBC Radio 5 live sports extra will have ball-by-ball commentary on all of England's games and the final at the ICC Women's World Cup, with live text commentary on the BBC Sport website and mobiles.